An amazing android application that allows you to create, share and store all your virtual cards at one place. And that’s not all, you can message, call and find virtual Card holder’s nearby location as well. It serves you as a contemporary communication center by gathering all the information of your contacts on phone as well as all your social media accounts. You can sign up by using your mobile number. It also helps you locate all your proximate virtual card contacts. Create your unique, personalized and easy to use virtual business card and start managing your contacts and business efficiently on the go. Scan a virtual card using QR code interface, get the required contact information and say goodbye to paper based business cards thereby becoming environment crusader. Finding nearby locations of contacts never got easier than this; just switch on your map and locate the contact details of all the nearby service professionals you need. Call the nearby service professionals to seek any kind of help at any time. Busy in a meeting, stuck in traffic jam and can’t make a call. Don't worry! Just send a message to your desired contact directly from the vCard Holder. As simple as that! Need extra space to showcase your business, skill, or occupation to your contacts we have provided an utility called Banner in our virtual card to cater to that need. We are YOUR friends trying to help YOU connect with the world anywhere YOU go. Our dedication to helping you advance your business is more grounded than at any other time. We're certain your requirements will be 100% fulfilled by our items, quality, plan, experience and mindful administration. Truth be told, it's completely ensured. With a vision of adding this bit to the environment and help small and big businesses flourish by sharing the responsibility of their representation to the world, virtual Card team has introduced a smart and creative idea of making the business cards easy to carry and share on the go. Anybody with the energy, desire and soul to maintain a business ought to have entry to showcasing items that help them interface with clients, professionally and moderately. We have sought after that vision from the very beginning – and we always will. Our Vision is to craft a highly reliable, most robust, supremely secure and easy to use applications that engages a large number of entrepreneurs and professionals worldwide to express and advertise themselves professionally. To help small, medium and large scale businesses to expand in their respective fields by creating a huge network though sharing their virtual cards in a hassle free manner. To achieve a perfect blend of technical excellence with agile solutions in a way to revolutionize the sharing of personal and professional business cards by empowering everyone to be able to share their information instantly, without any barriers and to make everyone's life easy. To serve our app users with a dedicated technical staff in order to produce high-impact, robust and scalable app with a technology that refrains over engineering yet focus on building for future. 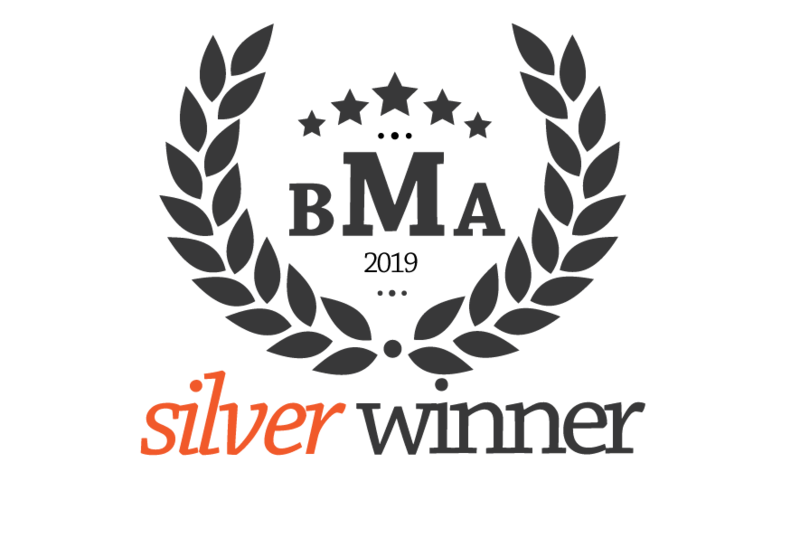 vCard Holder has won the Silver Award award for "Best New Mobile App" on BestMobileAppAwards.com. I've been practicing General Physician for last couple of years. Of late I was feeling the need to reach out to more number of patients through some mechanism when I came across vCard Holder mobile app. I installed it in my smartphone, made my professional virtual card citing my degree details, photo, clinic address, phone number, timings and services offered. Glad to see that I was added by a number of patients seeking services on vCard Holder app and I could locate them on Map. Thanks to vCard Holder, its great application easy to use!! I own a bookstore in Vasundhra and was looking for more readers and growth in my business. Looking for an innovative cost-effective approach to reach out to more customers as devoid of any extra capital to invest in to promote my bookstore, I stumble upon vcardholder.com while surfing on the Internet. Initially suspicious of it being just another one more web portal but my instincts led me make my first virtual business card containing my bookstore address, contact details and my bookstore image as my banner. Extremely delighted with the response I’ve getting since the day, I have made my virtual business card. My sales have been doubled and getting frequent inquiries like if I deliver books at home or give on rent etc. Overall I’m very happy and pleased with the decision of making my virtual card on vCardholder. I'm an IT professional and recently shifted to Indirapuram, Ghaziabad. Being completely new to an unknown city and get your house fixed can be a discouraging task. But fortunately I had vCard Holder app in my smartphone through which I was able to call, locate and get the services of electrician, plumber, groceries, RO, Kirana guy, movers & packers and get my house done in a short span of time. Kudos to vCard Holder App! "Get up-to-date news, on the go. Stay abreast with newly added features, current trends, rollouts and exciting happenings. Subscribe to us by just entering your email address in the box below.